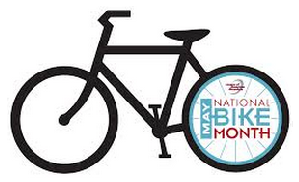 May usually heralds the beginning of spring weather and is National Bike Month. Northern Virginia was under a flood watch this morning and I rode to the local Bike to Work event in a downpour. There were certainly fewer attendees than at previous years’ events. While it tends to be diehard cyclists who bike in inclement weather and year-round, it’s often better to be wet and moving than stuck on the jammed roads that typify metro DC. With Index Card Cure™ (ICC) platform, we are taking a holistic approach to our lives by covering body, mind, spirit, and relationships. Cycling has multiple benefits that address many of the same areas as ICC. For body: Bike riding improves health, with increased cardiovascular fitness, endurance and balance. It is an exercise that can be done by almost anyone and helps burn calories. Dealing with the aftermath of a broken back, ankle and spinal cord injury means that I have had to modify my bike and biking, but the ability to bicycle feels liberating. For mind: Being on my bike gives me time to think about the day ahead and organize commitments. At the end of the day, biking helps raise energy and release stress. With traffic so horrible here, biking helps avoid the congestion that adds to the stress level. For your wallet: Cars are like pets. There’s the initial purchase price, then ongoing expenses and maintenance. Direct costs of automobile operation include purchase price, insurance, gas, oil, tolls, parking, and maintenance. Governments subsidize many of the costs like road and bridge construction/maintenance, water and air pollution mitigation, and medical expenses related to car accidents and the sedentary lifestyle that cars encourage. For intangibles, like convenience and fun: Parking, congestion and even flooded roads are usually not issues for bike riders. In heavy traffic, which is often the norm here, I can often travel as fast or faster by bike, especially at river crossings. Exercise, including cycling, boosts creativity. Of course, safety is an issue. In a vehicle versus bicycle confrontation, the car wins. The more bicycles on the road, the safer it will be for cyclists. For the world: We are very much a one person/one car society. Choosing to commute by bike means less congestion, carbon emissions, fossil fuel usage and noise. Walking and cycling humanize our interactions. Just for fun, track your mileage with the National Bike Challenge that started on May 1 and runs until September 30. Participants and their respective communities compete to cycle as many days and miles as possible. Monthly prizes are available through the League of American Bicyclists and other event sponsors. Visit www.nationalbikechallenge.org to sign up. Ride your bike. It’s good for you and good for the earth. May 16, 2014 in Body. So, what is Index Card Cure™? Biking is a means to get from Point A to Point B. They are practical, sturdy, and utilitarian. There are cars, but they feel like loud, hulking dinosaurs–the unsustainable antiques that they are.